The peroxide value in the palm oil points out the state of oxidation of a substance. If oxidation proceed for long, it makes the oil rancid and give an unpleasant smell to the substance. This phenomenon is influenced by temperature of preservation and by the contact with air and light. The companies who refine or purchase palm oil are interested in verifying quality parameters in the oil, the first in order to guarantee an eligible product, the second in order to control the possible alterations during the transport. The peroxide value is a crucial information for parameters like these. If oil oxidizes and becomes rancid it produces unpleasant odor and flavor, therefore the companies are forced to change it or renew it. For the ones who make or sell the palm oil it is useful to know the peroxide value just before and after the refinement treatment, carrying out the analysis during different phases of the production process. The degree of precision of the tests must be very accurate – peroxide values in refined oil are indeed lower than 1 mEqO2/Kg. 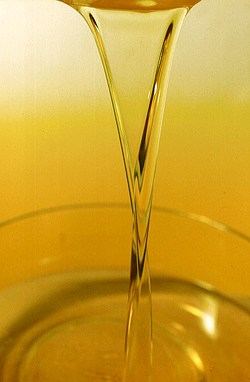 The analytical reference method for the determination of peroxide value in palm oil is titration. This method requires skilled staff and an equipped laboratory for chemical analysis. Moreover it expects you to manage chloroform, highly toxic, a burette and an adequate set of glassware. Only a specialized analysis institute or an expert chemist into a professional laboratory can correctly execute titration in a complete safe environment. This method can be replaced with alternative analytical systems, like NIR systems. The NIR technology allows to examine the spectrum of the matter in analysis through the illumination provided from a ray of light at low frequency. These instruments exploit a purely physical principle and need a specific calibration for each matrix. The maintenance of the machines and the initial investment are very expensive. The peroxide value in palm oil can be determined with CDR PalmOilTester, a fast and simple method of analysis. Results are correlated with reference methods (AOCS Official Method Cd 8-53) for both peroxide values lower than 1 mEqO2/Kg and higher values, beyond 60 mEqO2/Kg, thanks to calibration curves pre-set on the instrument and specific for the different range of measurement. CDR PalmOilTester is based on a physical – chemical principle that allows to obtain accurate and exact results. It does not require the determination of the turning point like titration does and you are not expected to use a burette. It does not require any calibration and a small amount of sample is enough to realize the analysis, employing crude or refined oil. The sample is used as is, without any pre-treatment. There are not maintenance expenses. You can get the peroxide value in a palm oil in 4 minutes. At the end of the analysis you do not have to wash any type of container or the classical glassware. The instrument is ready to use and does not need maintenance. Peroxide value in the Palm Oil: analysis and methods was last modified: April 6th, 2017 by CDR s.r.l.